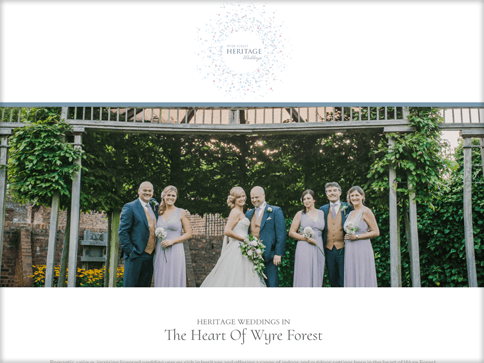 Heritage Weddings are a local wedding planners for Kidderminster Town Hall & Bewdley Museum. With a smaller budget, the team were only looking for something small to allow potential clients to get a taste for both locations. 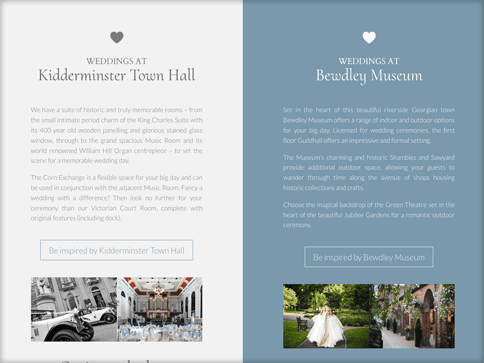 The final website is a simple, scrolling one page website that is split down the middle to promote both event locations. Their established brand colours & logo were used throughout the site to ensure continuity throughout the rest of their printed marketing.